So many of us have been to Marrakech. So many now consider that they have ‘done’ Morocco. I was beginning to feel that. It isn’t that it hasn’t got loads of charisma and charm; it’s just I want more, I want different. 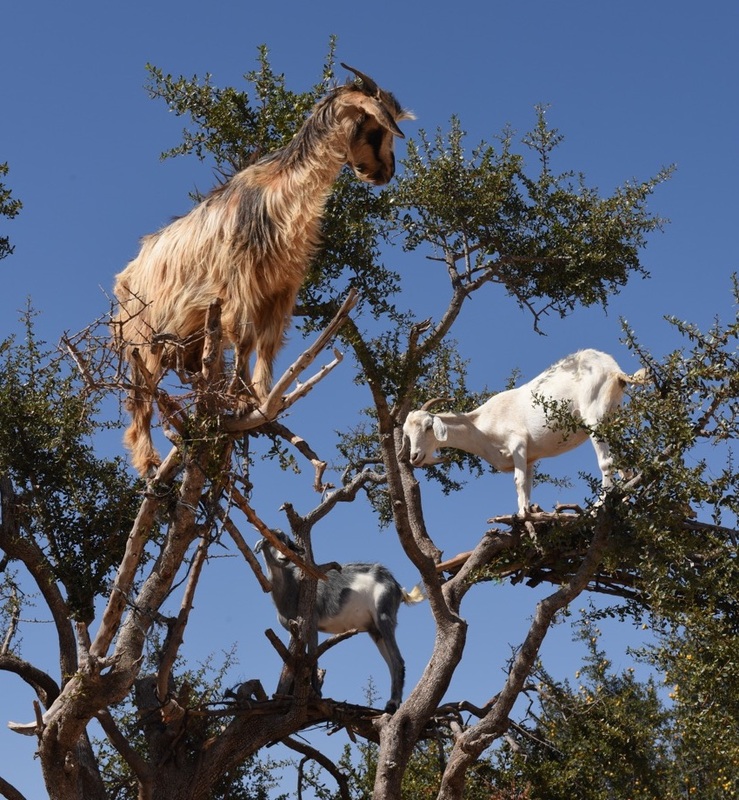 I want to dabble my feet in the Atlantic, see tree-climbing goats, drive over mountain passes, just more. So with no real plan and no map, I rent a car. I rented online, it gives a significant saving and simplifies the process. I think it is wise to take the additional insurance when you book, it’s a few pounds more but saves hassle later. Just as when you rent a car anywhere, check it for bumps when it is handed over to you, some people film or photograph the corners and important parts of the car as a reference if there is any debate on hand back. Speeding is not advised. You will pass through a speed trap every 30 miles or so, the Moroccan police are keen to ensure you drive safely. The urban speed limit is 60kmh and sometimes 80kmh, the national limit is 100kmh and motorway is 125kmh. Generally signage for speed is good, although signage for destinations is not so good. If you are caught speeding and think you are in the right, ask to see the picture. The police on the whole are friendly and polite and a smile goes a long way to easing any misunderstandings. As a non-drinking culture, drink driving is obviously not a good idea. Heading out on the road to Essaouira with trepidation, I soon found that I had little to worry about, but had to be alert. Whilst driving in the UK is predominately a passive activity, driving in Morocco is more proactive. It demands attentive driving, just like riding a motorbike, as opposed to the environmentally insulated cocoon provided by a car. The buildings and houses of Marrakech gradually gave way to lines of olive trees striking off into the distance, then to a patchwork of green and brown fields, vines, wheat and Argan oil trees. The road to Essaouira is easy driving as most of it has new tarmac and is dualled, passing through small towns and villages and the ever-attentive policemen sheltering from the heat under trees. After a couple of hours the road turns its final corner and dips down toward the blue of the Atlantic. Clear waves roll onto the sandy beach while kite surfers swing back and forth, leaping and striking impossible poses. Horses, quad bikes and camels line up ready for a spin on the beach. 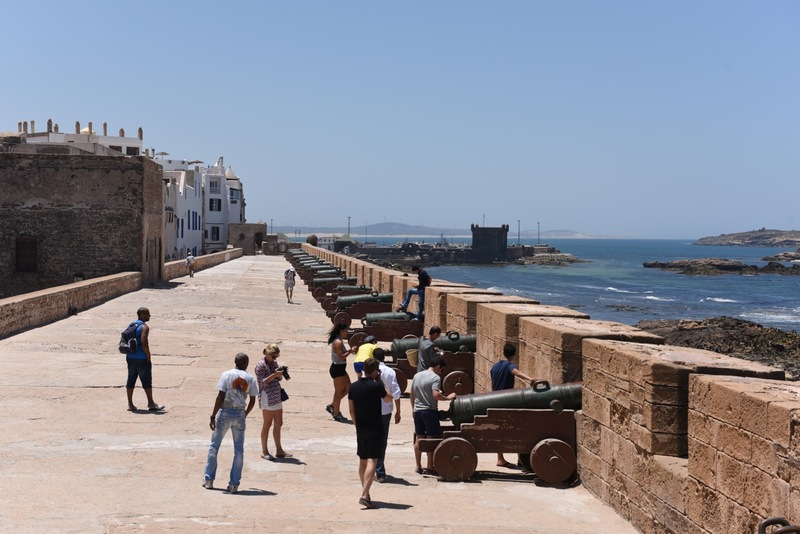 Essaouira’s stunning fortress walls echo centuries of foreign influences, harking back to the town’s Portuguese, French, Arabic and Amazigh heritage. 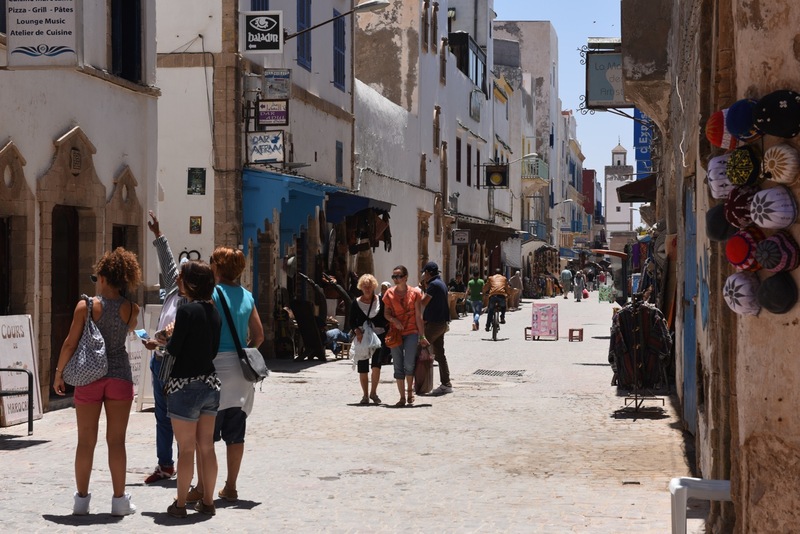 Essaouira is also a testimony to Moroccan heritage, culture and guts. With a strong Jewish influence and community, the Vichy government in the Second World War demanded that all Jews in Morocco be deported to the Nazi camps in Europe. King Mohammed V politely declined the invitation. Now that is something every Moroccan can be proud of. This town should feature on everybody’s bucket list, and with direct flights from Luton getting there couldn’t be easier. It’s very relaxed, the food is great and the air is significantly cooler than inland. It is magic, just plain, chilled, calm, friendly magic. Back in Marrakech at the end of the day with a newly bought map, I am making plans. Tomorrow I’m going to head over the Atlas Mountains to the ancient city of Ouarzazate; stunning and otherworldly, the gateway to the Sahara and made famous by films and TV shows like James Bond, Game of Thrones and Gladiator. The day after that will be north to Ouzda and the Roman ruins and waterfalls and maybe on to Fez to buy a hat. So it’s true that Marrakech is not Morocco – there is so very much more.